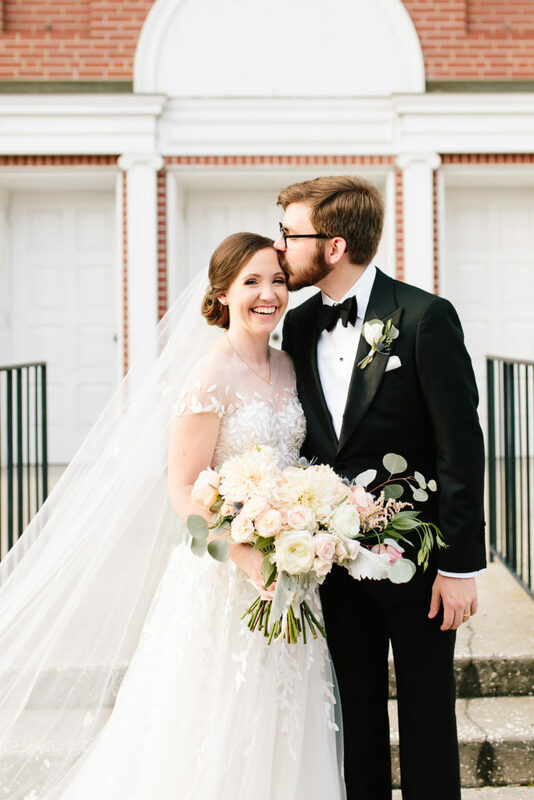 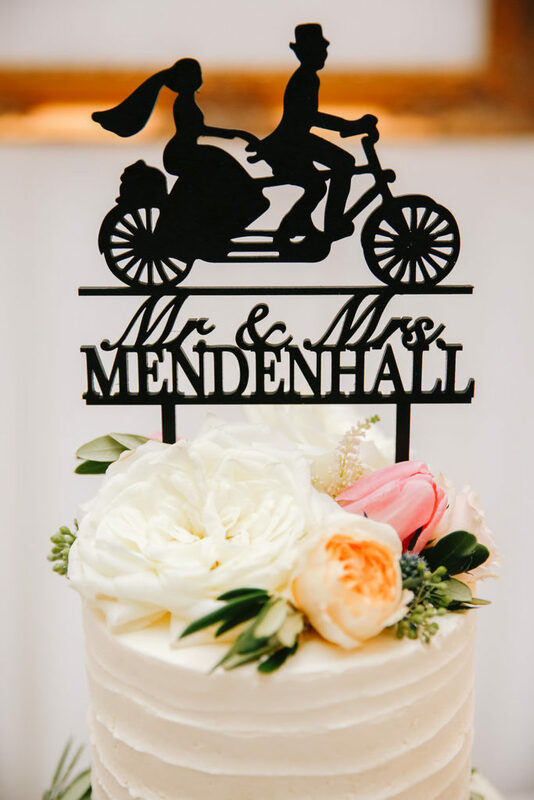 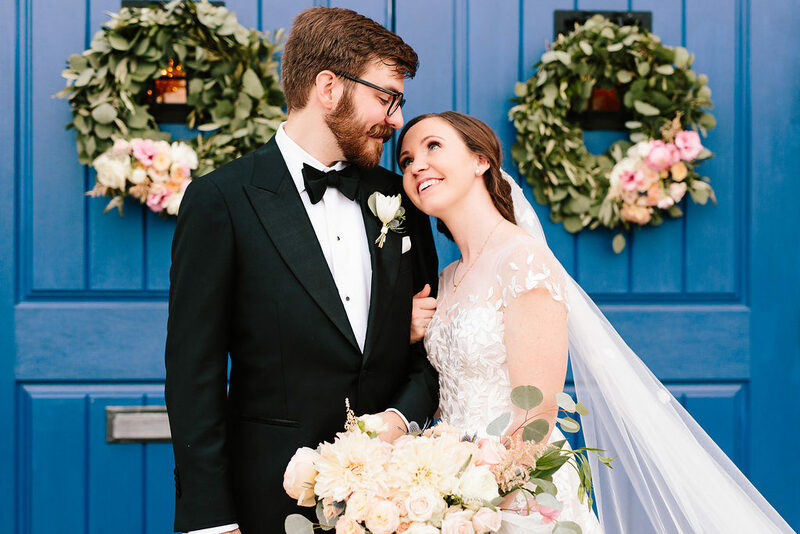 Our friends over at Every Last Detail recently featured one of our sweet couples, S+K, on their blog and we are so excited to share all the details of their day with you! 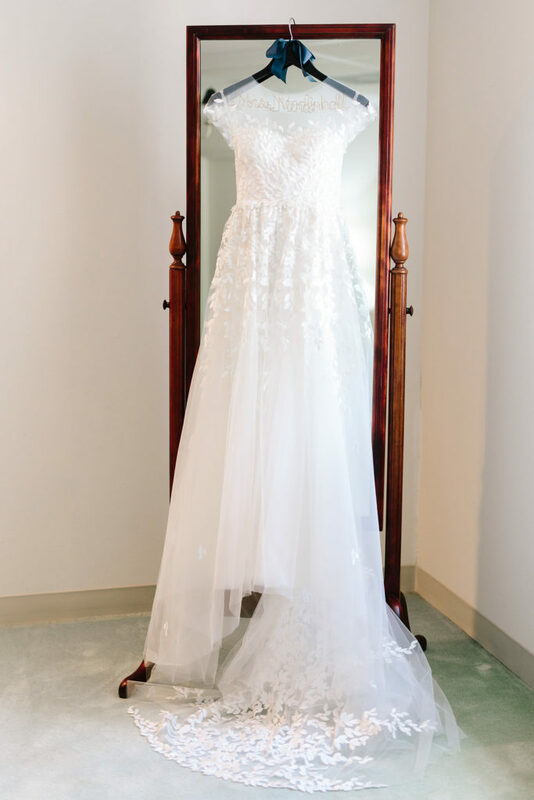 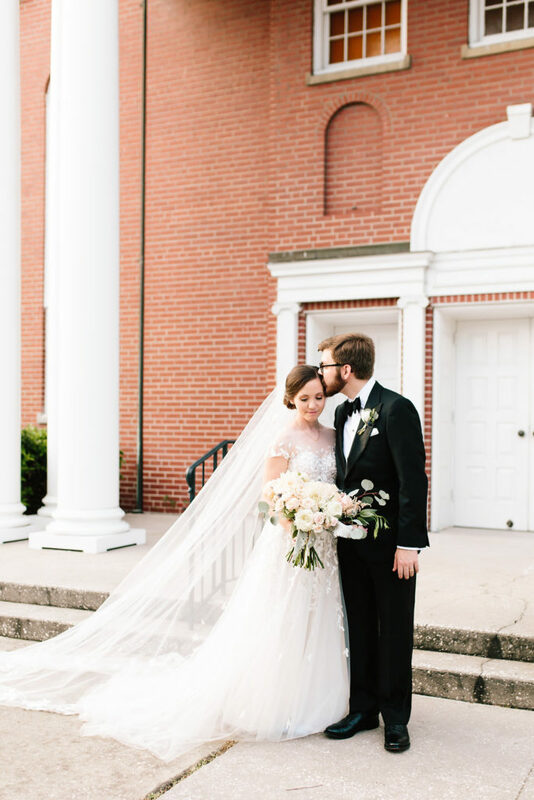 If you love classic, elegant, and romantic weddings, then look no further, this is the wedding for you! 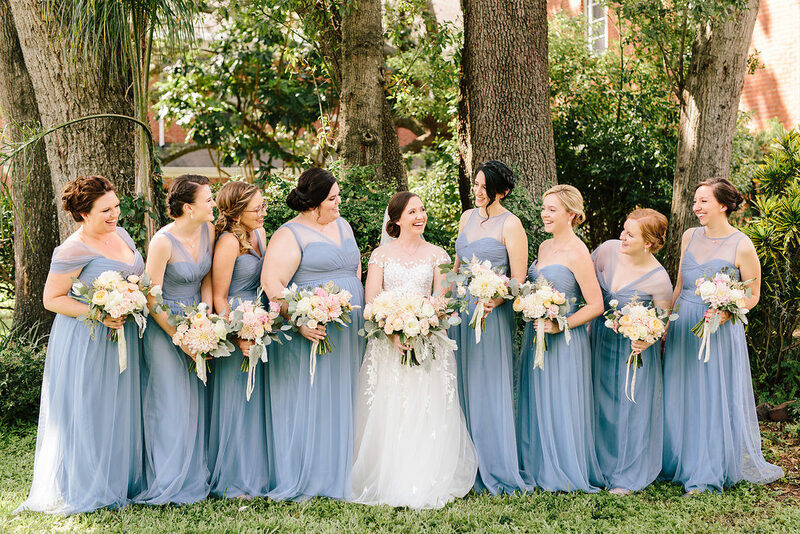 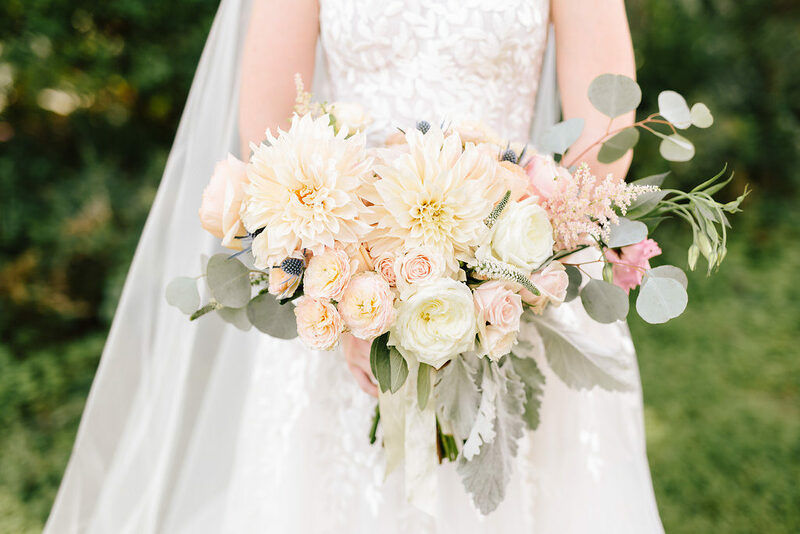 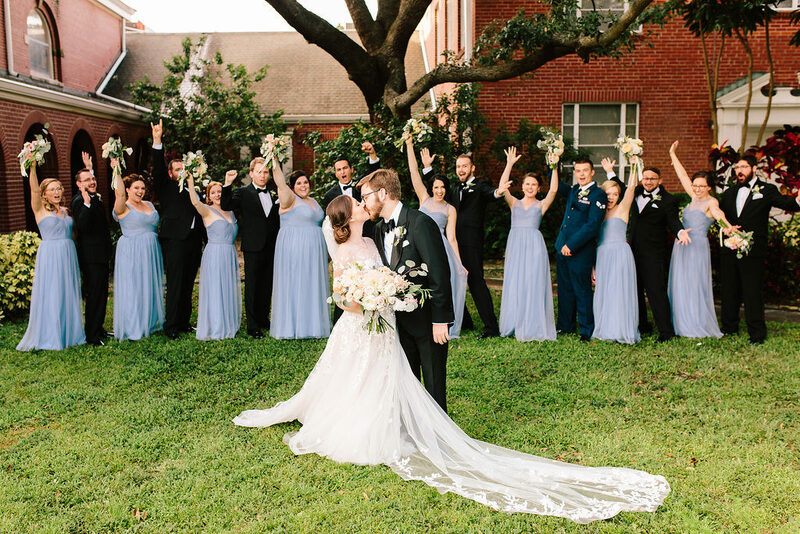 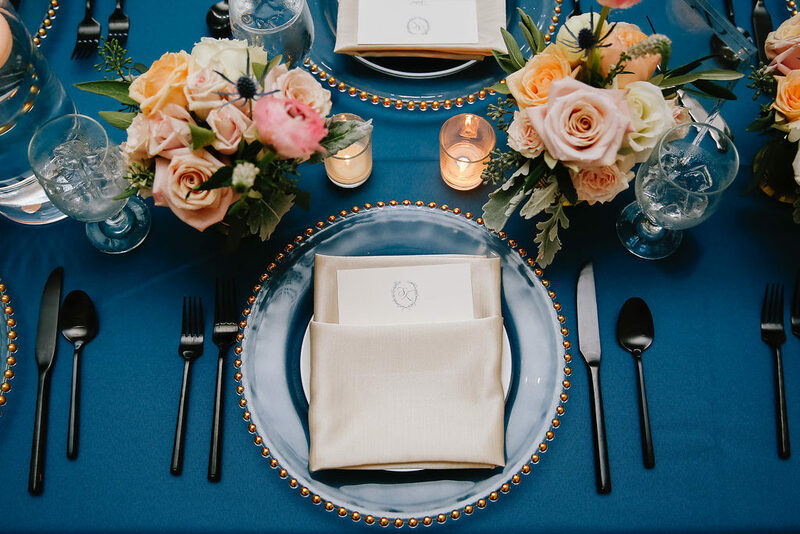 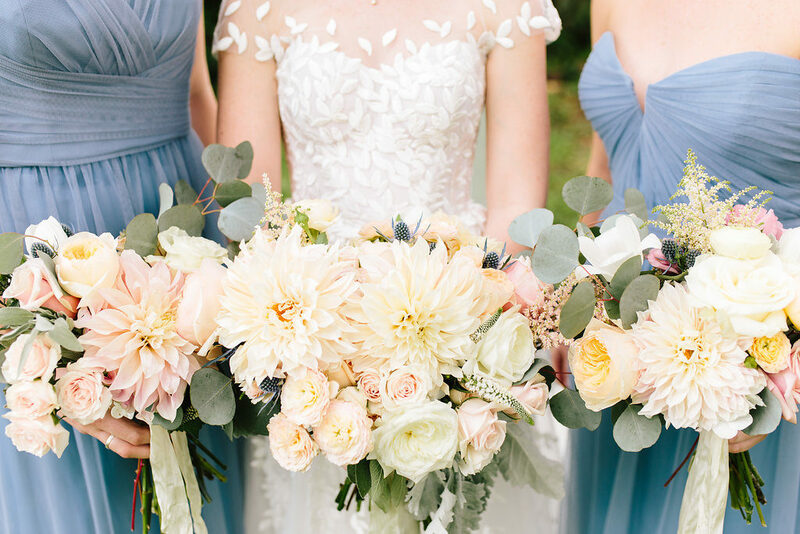 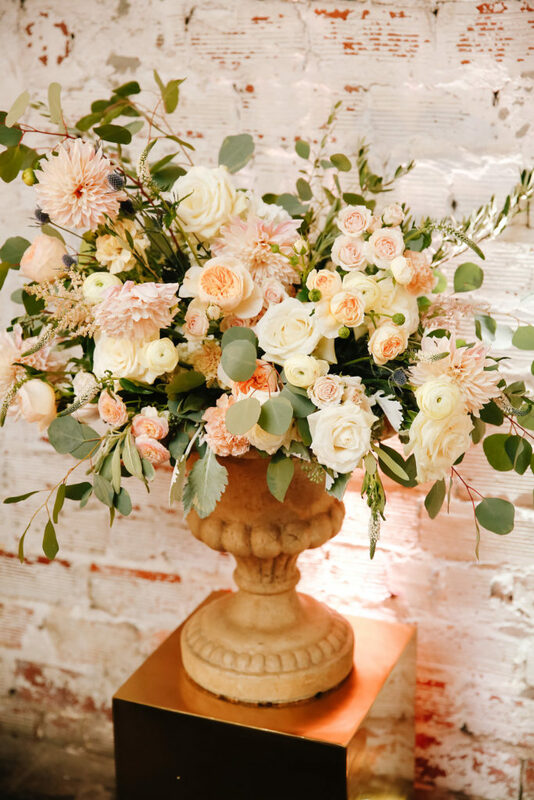 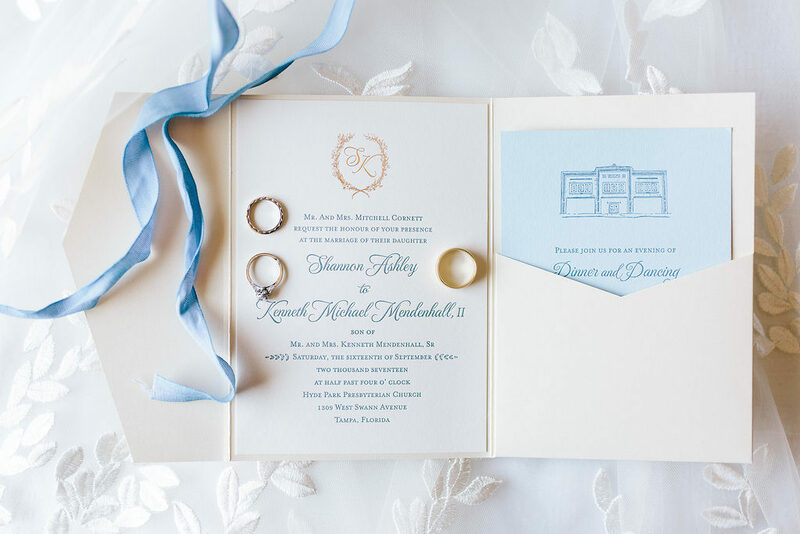 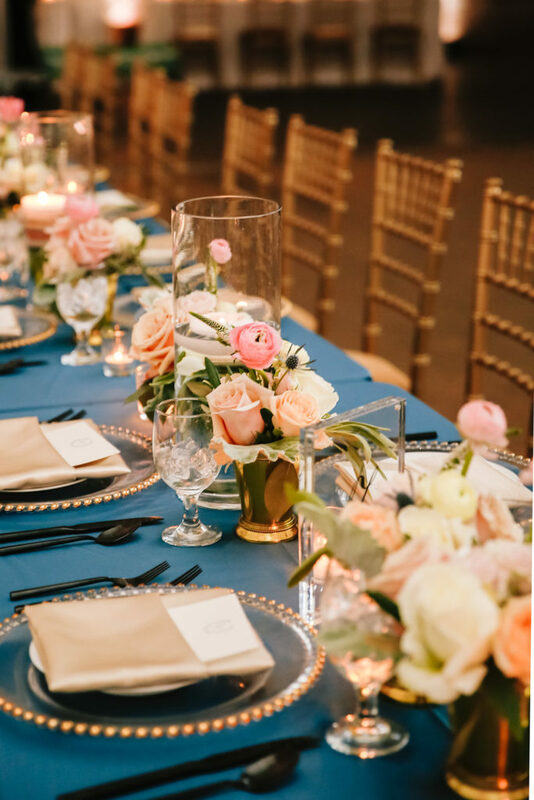 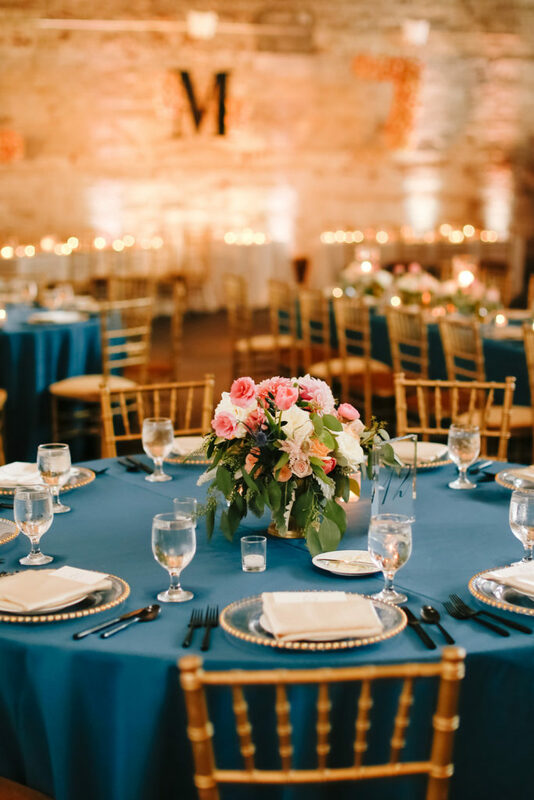 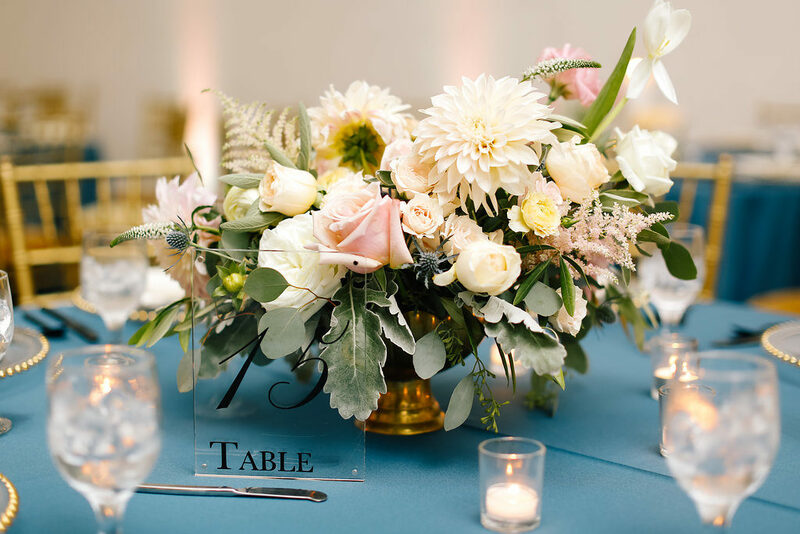 The blue, blush, and peach color palette complemented the garden inspired feel so perfectly. 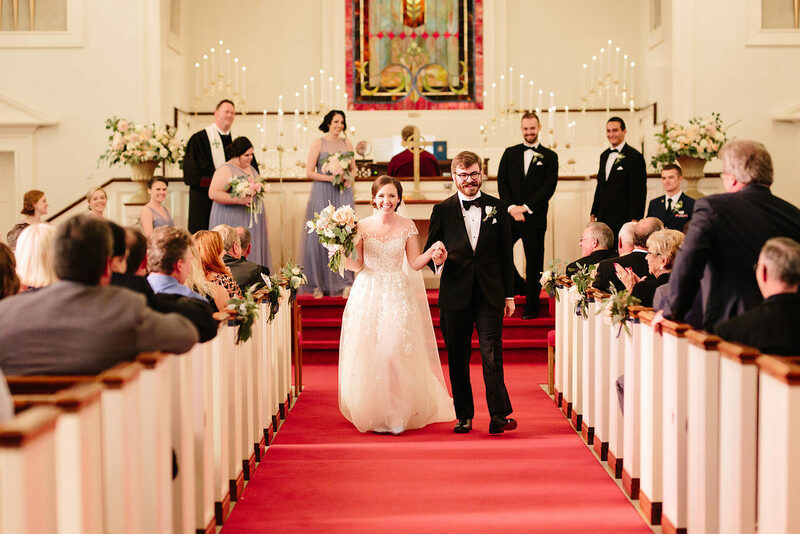 Following the traditional church ceremony, guests headed over to cocktail hour which took place in a stunning art gallery. 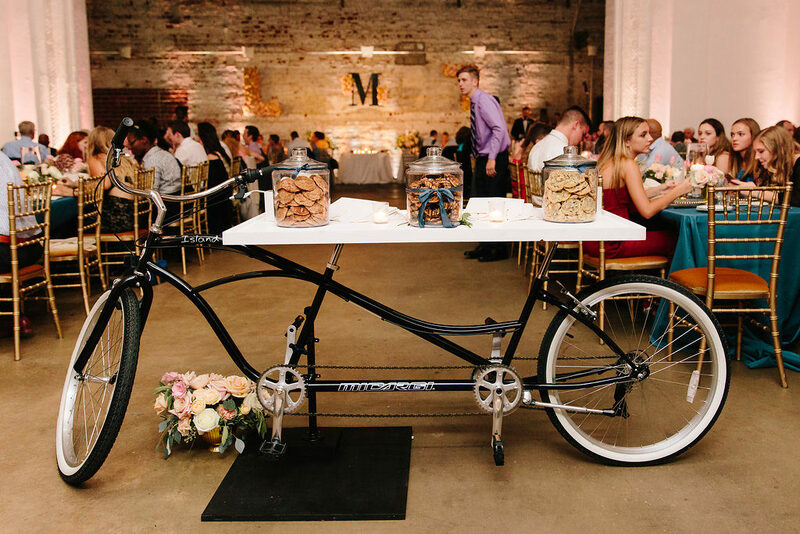 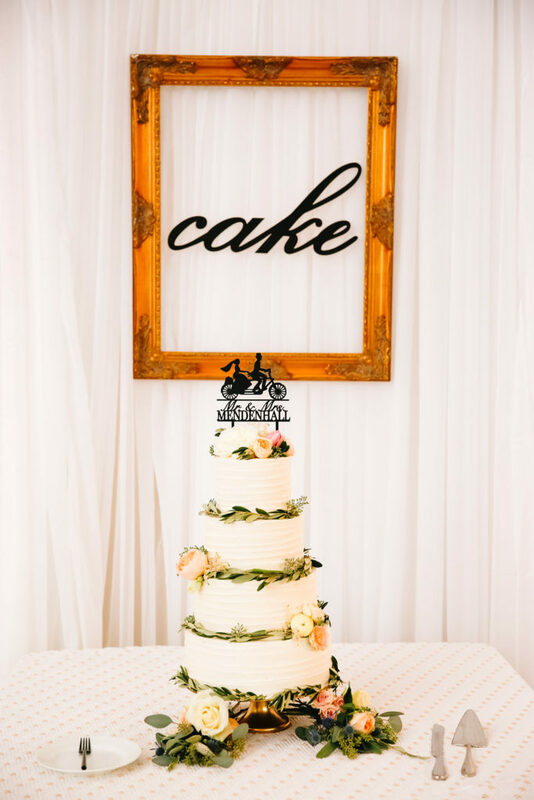 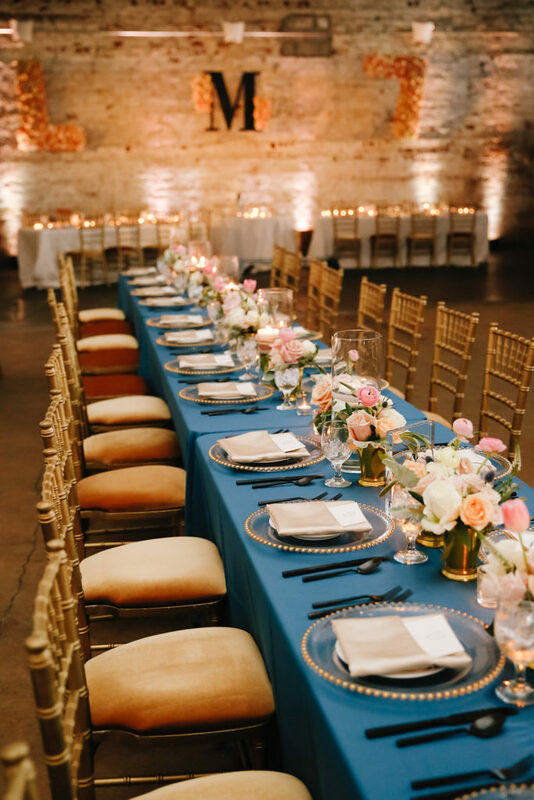 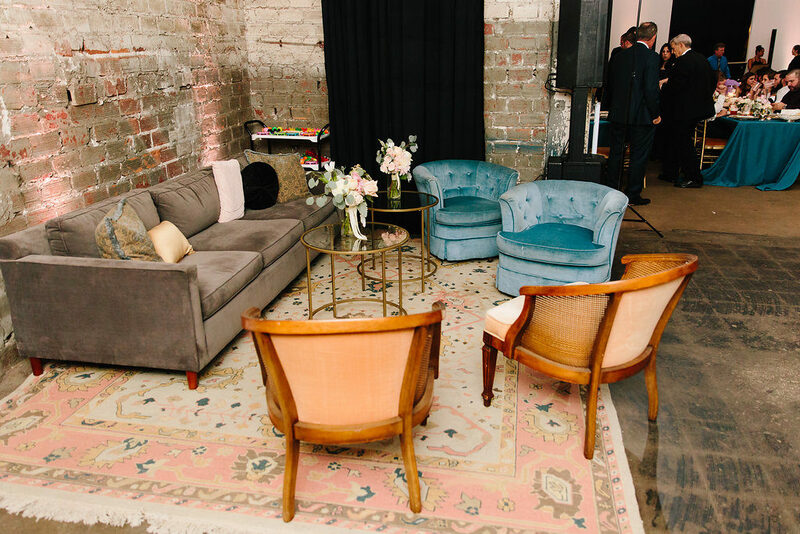 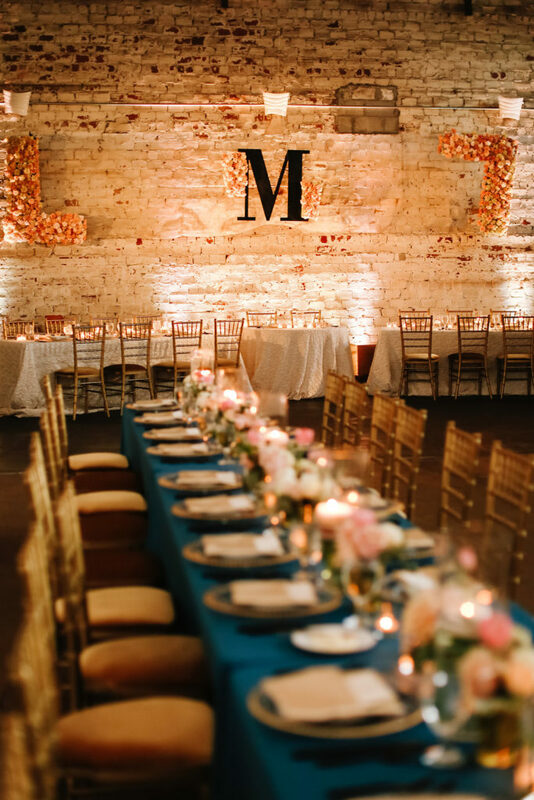 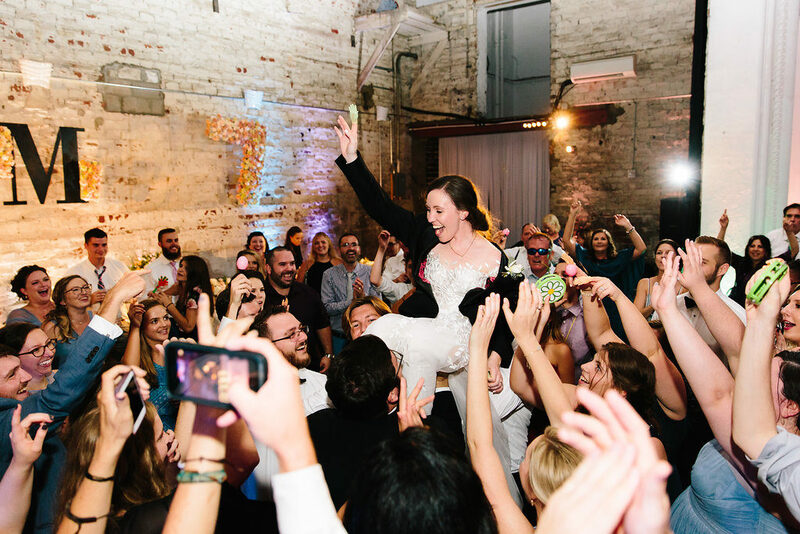 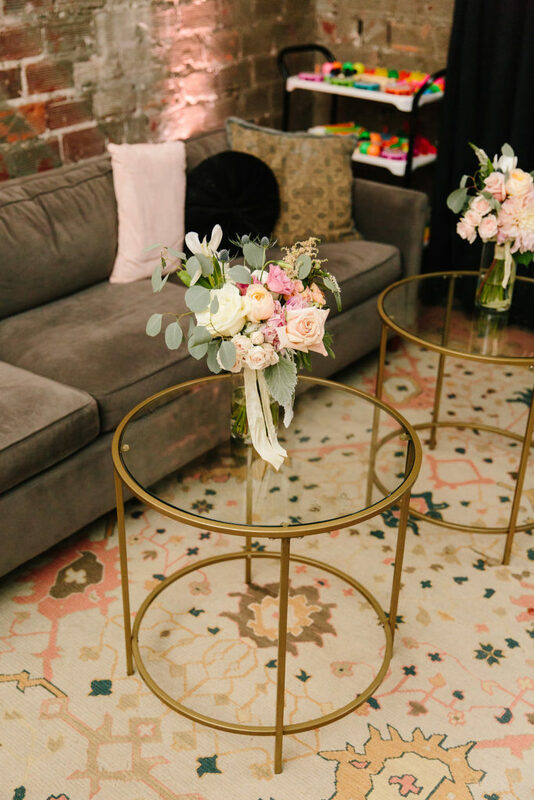 The Rialto Theatre, with its gorgeous white washed brick walls, was the perfect backdrop for S+K’s chic reception. 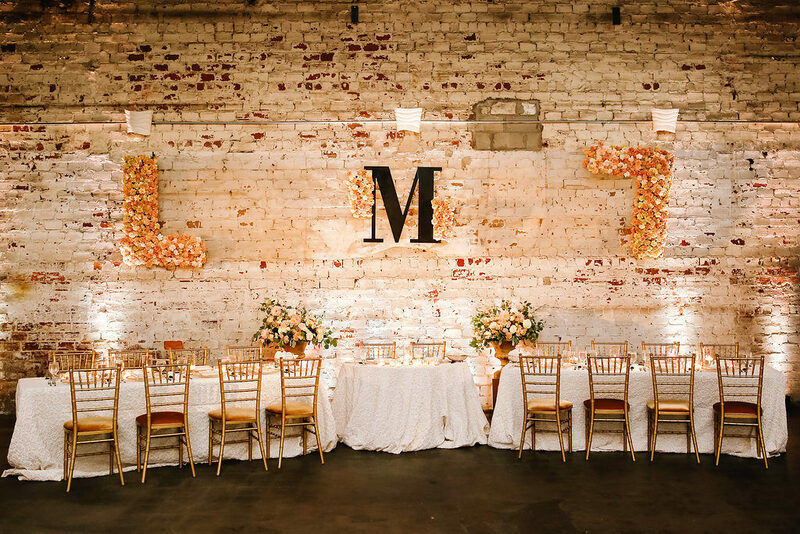 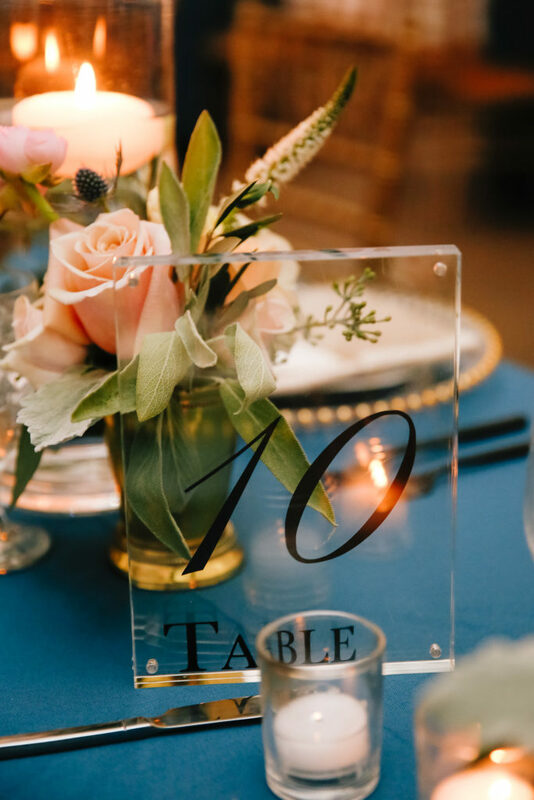 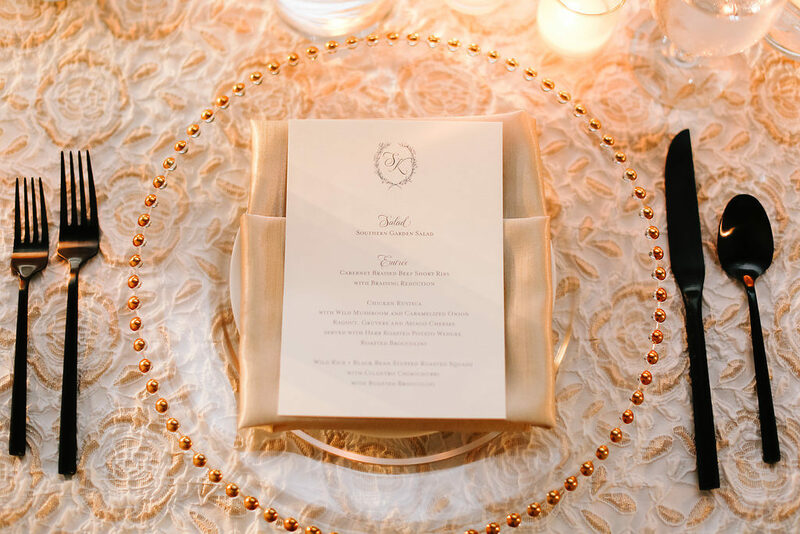 One of our favorite details was the monogram floral installations above the head table, they turned out so perfectly! 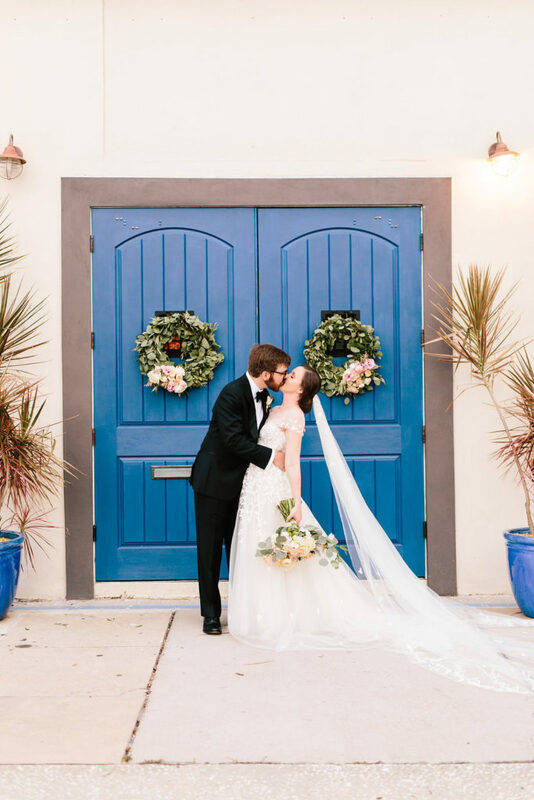 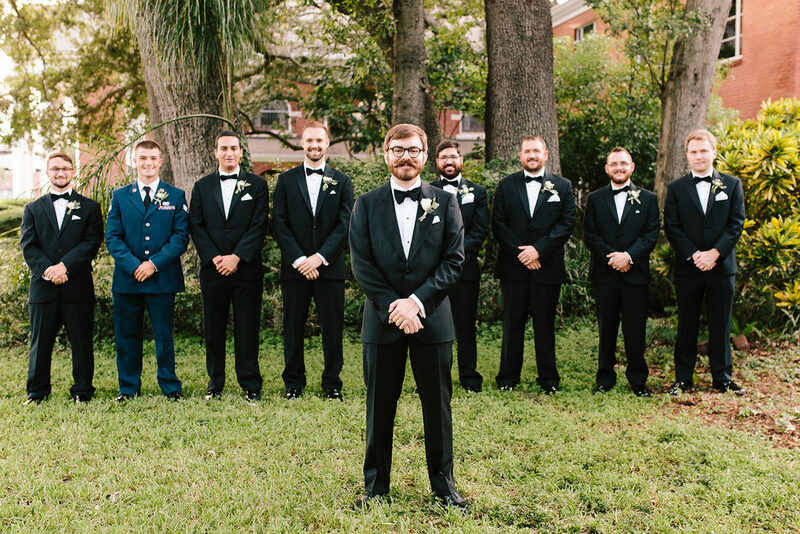 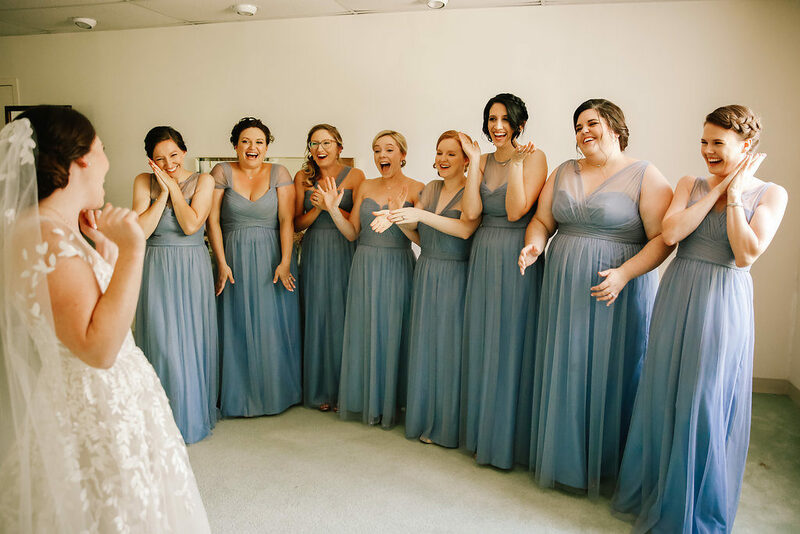 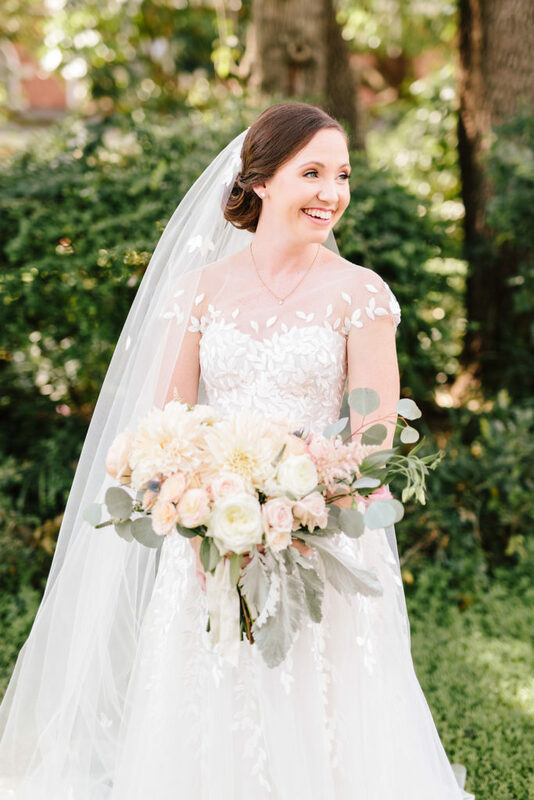 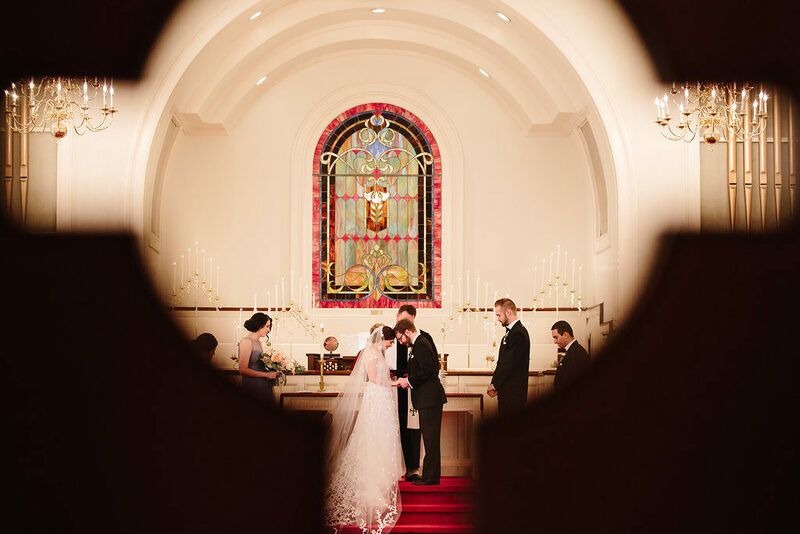 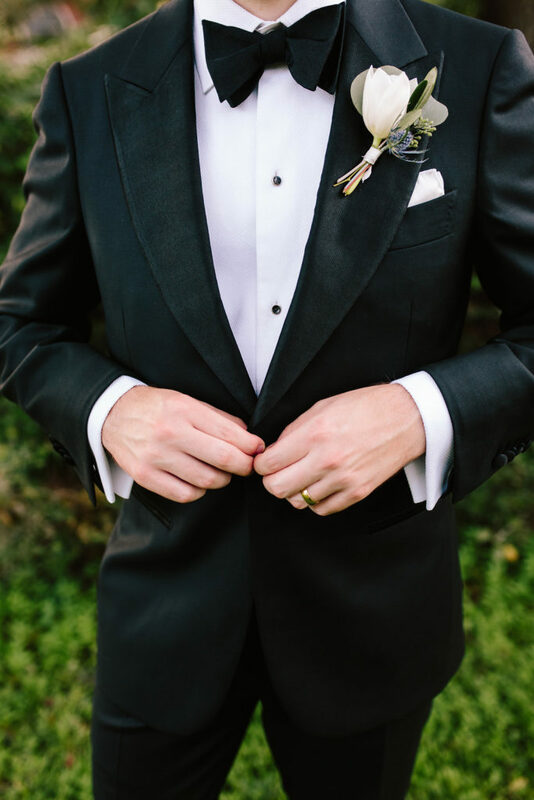 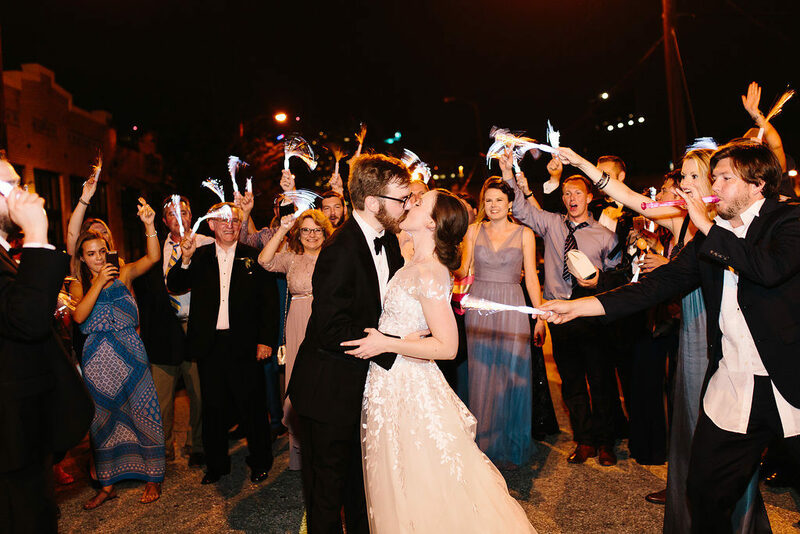 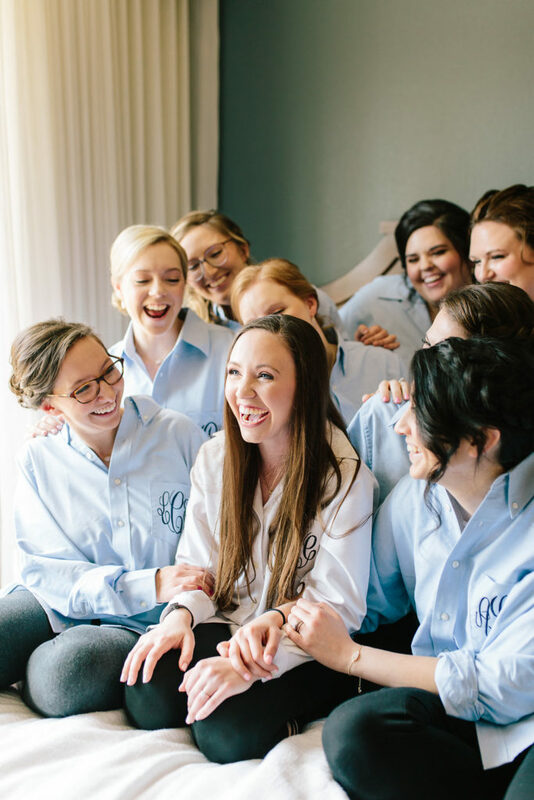 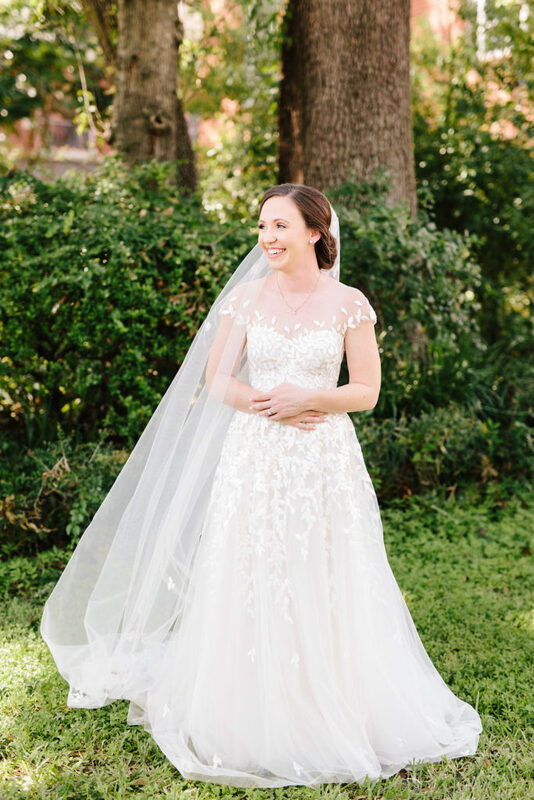 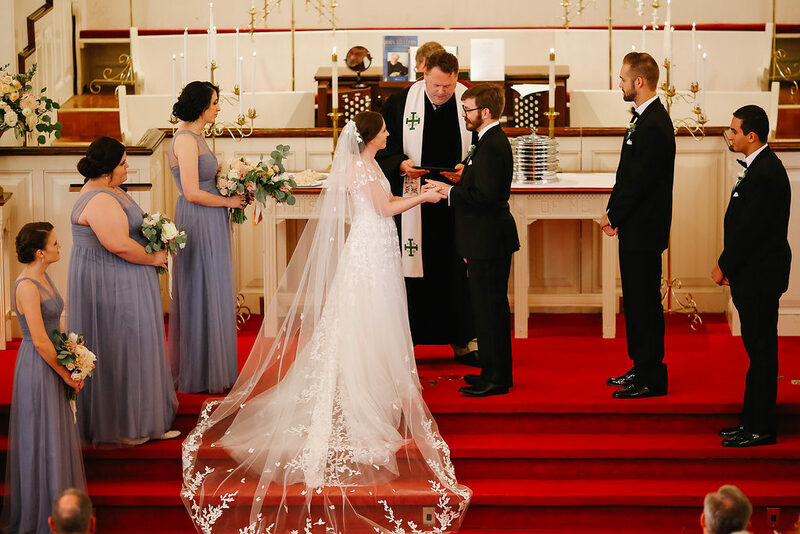 Check out all the beautiful moments captured by Emily Knuth below!